Available in various colors in Youth and Adult sizes. You can buy this shirt here. 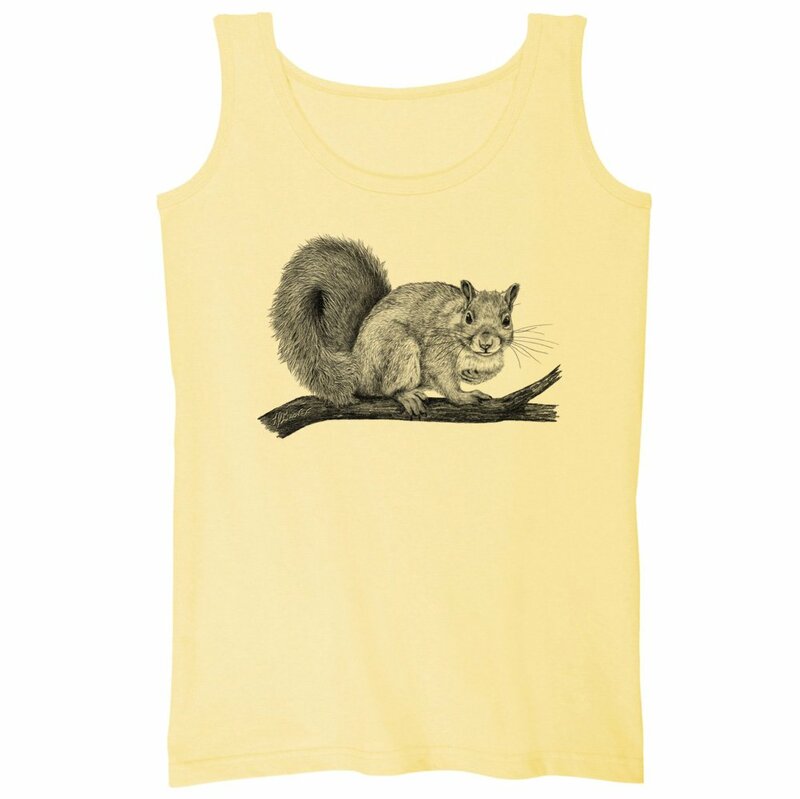 Also available as a squirrel tank top and squirrel sweatshirt. 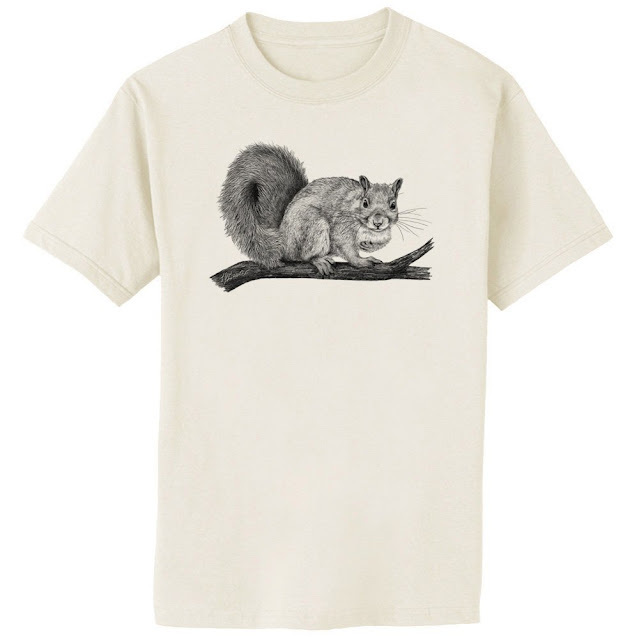 The original title of the shirt is "Cross My Heart," implying that the squirrel is taking an oath. But with his paw on his breast, this squirrel seems to be asking "Who, me?" -- A much more appropriate question for a sneaky little squirrel to be asking! 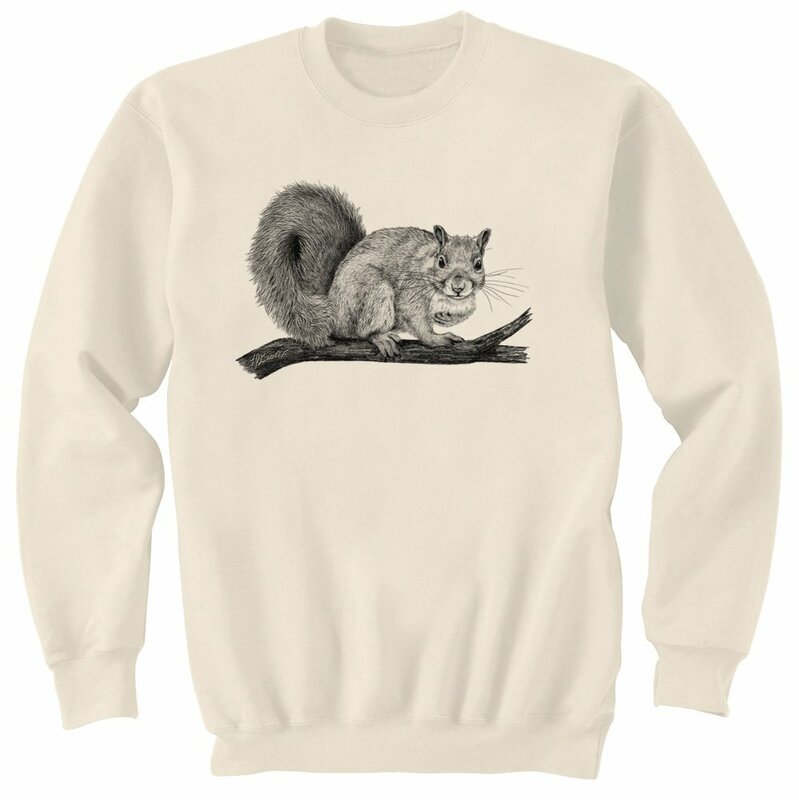 An exquisite hand drawn squirrel in realistic detail, right down to the whiskers, this little guy looks great front and center. AND other squirrel gifts featuring this design, like a mousepad and tote bag, are available.